West Roxbury has plenty going on, and plenty of ways to find out what’s going on. 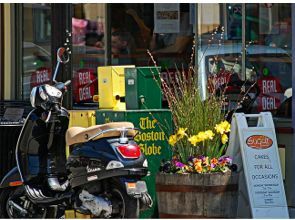 West Roxbury’s Main Streets’ site is a terrific source for meetings, events and retail updates. West Roxbury Neighbors for Neighbors is a social networking site for news, networking, and community activism. For breaking news, AOL’s West Roxbury Patch is a great blog to subscribe to or add to your RSS feeds. 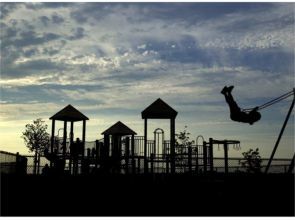 Boston.com’s Your Town has a great West Roxbury site that offers news, events and discussions. For the official buzz on West Roxbury and links to all the city resources you might need, check out the West Roxbury page on the City of Boston site. Universal Hub is a Boston community news and info site with a West Roxbury page. You should catch The Transcript in print every Thursday or else read it online. The West Roxbury – Roslindale Bulletin is published on Thursdays as well and tends to fill in gaps other sources might leave. You can subscribe to it online for $12 a year. The Real Deal, historically the location for Steve Slyne’s Deli–which was THE gathering place in West Rox.–is a fabulous place to hang out, get a real good slice of pizza or a sandwich, and find out who said what and when they said it. With as many personalities as its main street — West Roxbury is no longer the bedroom community of Boston! This vital commercial center, with Roche Bros. Plaza as its anchor and Shaw’s Plaza at its crown, serves shoppers from the immediate neighborhoods and well beyond. Elegant American fare in a candle-lit dining room is found at West on Centre. Just across the street, Himalayan Bistro and Thai Spice wake up everyone’s tastebuds. Stop and cleanse the palate at the only Starbuck’s in the area, then move on up Centre Street to Phuket, authentic Thai gourmet, The Real Deal pizza and sandwich eatery snugged up to Sugar Bakery, and “The Rox”–the former home of Auntie Bea’s–for an updated diner experience you really deserve. Pazzo Books, where you can trade your books for credit on someone else’s. Boomerangs–a great store for gently-used items run by and benefitting the fabulous AIDS Action Committee–more fun to shop than Barney’s! Mr. Sweeper–one of the few places left in Boston to buy a vacuum cleaner and get it repaired–and they have a terrific array of sewing machines for the novice and the expert stitcher! View West Roxbury and over 3,000,000 other topics on Qwiki.